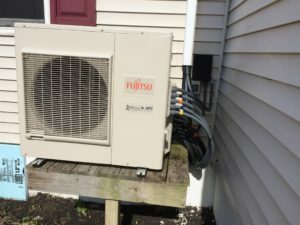 Here we installed a 3-ton Fujitsu mini-split heat pump with 4 indoor evaporators. 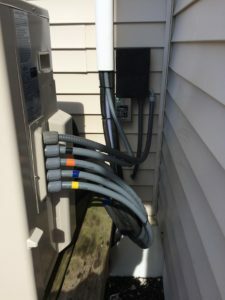 Notice how we color coded each sealtite connection and we also did the same for the indoor units (on the inside covers), crucial in trouble-shooting a future problem. 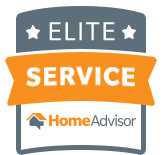 Knowing which wiring goes to which unit will cut down on repair time, saving the homeowner money on any service work in the future.